Last week, the world was informed of yet another expansion of Israeli "settlements" by the Netanyahu government. Israel has now advanced plans for 1,700 new units since July 1. And the response from Canada and its federal political parties: silence. Such announcements must be met with firm and repeated condemnation, by Canada and all other governments. Global Affairs Canada must have considered the 24 hours after Israel's announcement to be a slow news cycle. Their only press statement announced Minister Dion's upcoming travel to Micronesia. But Israel's ongoing construction of settlements in the West Bank is no small matter. Such announcements must be met with firm and repeated condemnation, by Canada and all other governments that give lip service to human rights and the rule of law. Here's why. As Mladenov observed, Israel's settlements are illegal under international law. The Fourth Geneva Convention states, "The Occupying Power shall not deport or transfer parts of its own civilian population into the territory it occupies." [This article] is intended to prevent a practice adopted during the Second World War by certain Powers, which transferred portions of their own population to occupied territory for political and racial reasons [...] to colonize those territories. Such transfers worsened the economic situation of the native population and endangered their separate existence as a race. Thus, Israel's settlements are colonies, with all the pejorative meanings. And with each Israeli colonial expansion in the West Bank, Palestinians struggle to maintain their livelihoods and their communities. Aside from the illegality and inhumanity of Israel's settlements, they also spell dire trouble for the oft-touted "two state solution" for the Israeli-Palestinian conflict. Global Affairs Canada states, "Israeli settlements in the occupied territories are a violation of the Fourth Geneva Convention. The settlements also constitute a serious obstacle to achieving a comprehensive, just and lasting peace." Individually, all Canadian parties have expressed wholehearted support for the two-state solution for the Israeli-Palestinian conflict. 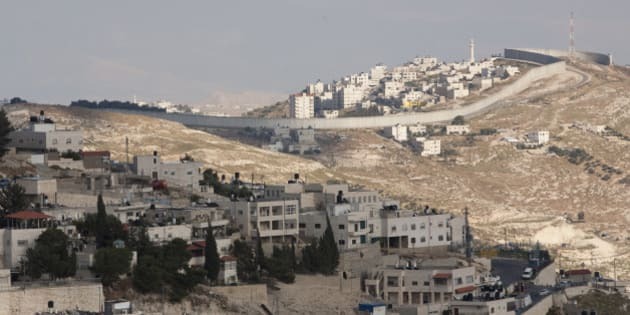 Why is it, then, that neither our government nor any of our political leaders lament the growth of these Israeli settlements which are repeatedly hailed as a significant impediment to peace? It's like two people arguing over how to divide a pizza while one of them eats it. It's no wonder that Mladenov asserted, "It is difficult to read in these actions a genuine [Israeli] intention to work toward a viable two-state solution." There are different mechanisms of enforcement for international law. Formally, there are international bodies -- the ICC, the ICJ and others -- that are occasionally brought to bear effectively. Far more frequently, it is informal mechanisms that enable international law to bring positive change: collective condemnation, and a desire for international legitimacy. Canada is not a military superpower, but it can be a moral superpower. The condemnation of Canada, its government and its political leaders is far more powerful than many might realize. While it may feel like empty hand wringing to some, history has repeatedly shown that if enough voices are raised, intransigent governments will move. In one meeting I had several years ago with the foreign affairs critic of a major Canadian party, I asked him about the last time his party had condemned Israeli settlement building. "Well, Tom," he explained, "Our disapproval of Israeli settlements is well known." "But when was the last time you actually issued a statement?" I pressed. "Well, we can't repeat the same thing in statement after statement." I repeated, "But when was the last time you actually issued a statement of condemnation?" In a final appeal for action last week, Mladenov said something which should give pause to everyone, regardless of where they stand on the conflict: "For years we have been managing this conflict, while the occupation has continued, Palestinians have been dispossessed, and a one-state reality has been establishing itself on the ground." If Mladenov is right, Palestinians may soon be echoing the battle cry against Apartheid South Africa: "One [hu]man, one vote!" Canada is not a military superpower, but it can be a moral superpower. Canada may not be the host of Mideast peace talks, but it can grease the wheels for such talks. But to be either, our political leaders have to have the courage of their convictions. In the meantime, silence is acquiescence.